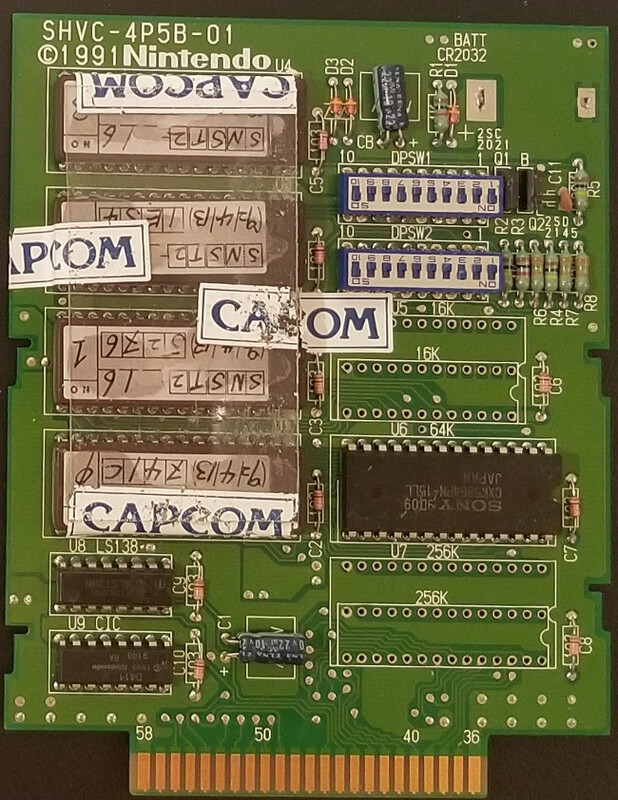 This is a near final prototype of the US version of Street Fighter II. Thanks to Xnz136 for releasing this! The numbers refer to a build date. "4 3" probably means "April 3" while "417" probably means "April 17". If this is accurate, then the prototype build is only two weeks before the final build. The label on the board seems to suggest "April 13" rather than April 3, so it is possible there was an error in the build. In that case, the prototype is only three days older than the final build. 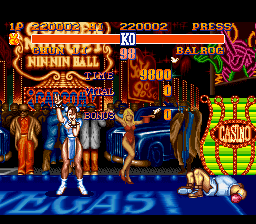 As for the "Nin" part, there are references throughout Street Fighter II, for instance in Balrog's stage. 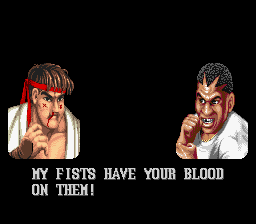 Nin reference in Mike Tyson's, M. Bison's, Balrog's stage. In the credits, the game planner went by the alias "Nin". This refers to Akira Nishitani. It was pretty common back in the early days of video game development in Japan for developers to use an alias, and this was especially common at Capcom. There are a few Japanese words that Nin could refer to, perhaps most simply "person". Or maybe the guy was just a big fan of Nine Inch Nails. I don't know. 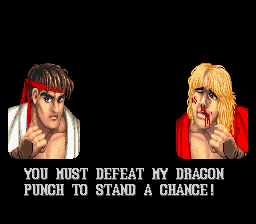 This is basically a mistake in interpreting Ryu/Ken's move shoryuken, which has the kanji 昇竜拳. 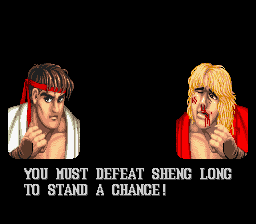 The first two characters, 昇竜, literally translate as "rising dragon", but whoever did the original localization must have thought that it was a Chinese name and used a more Chinese style reading of "Sheng Long". 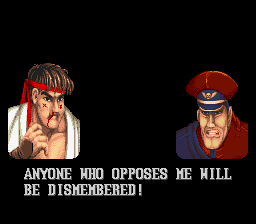 The other two changes are probably more in line with Nintendo's censorship rules, although they never censored the beaten and battered characters with blood going down their faces. 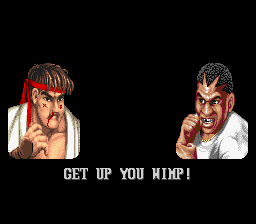 There's actually another text change in the game that would be spoken by Chun Li after she defeats herself in a mirror battle, but mirror battles are not possible in this version of Street Fighter II, so you can't actually see it! SHOULD KNEEL DOWN BEFORE ME! YOU SHOULD ALL KNEEL DOWN BEFORE ME! 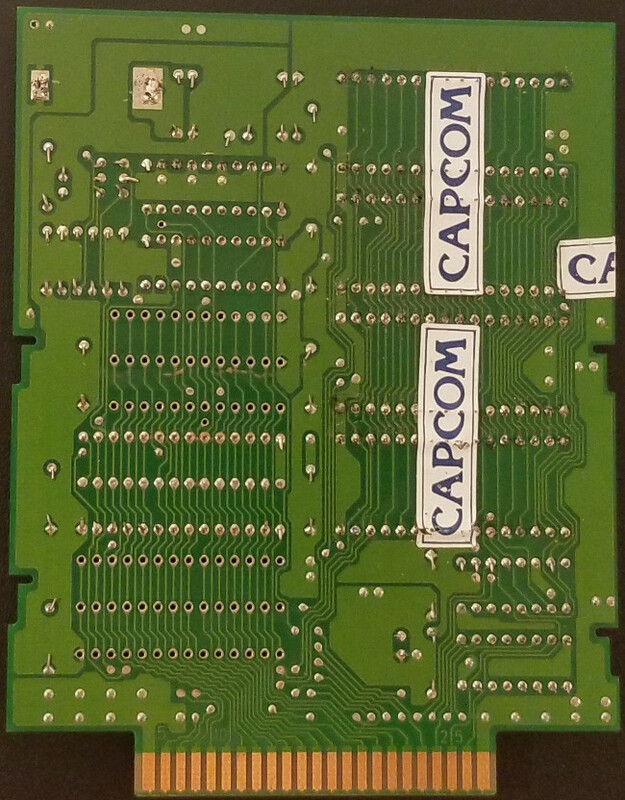 The prototype for Street Fighter II comes on a very unique PCB that is not used in many other prototypes. 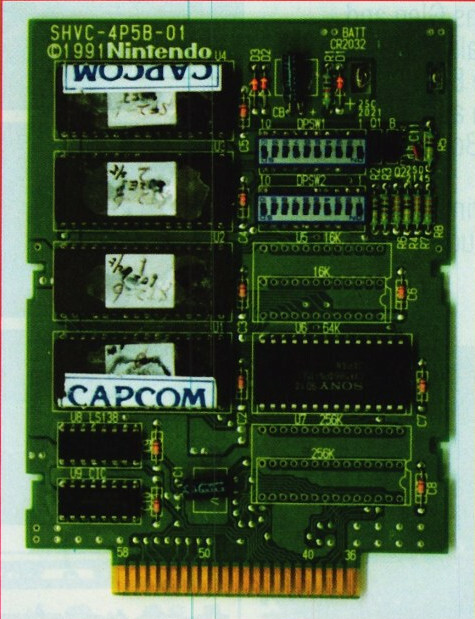 One thing to note is that a similar prototype was shown in the April 1992 issue of EGM, dating to February of that year, probably earlier than this prototype!